In 1972, architect Simon Nicholson developed the Theory of Loose Parts; the idea that loose parts, materials which can be moved around, designed and redesigned, and tinkered with; create infinitely more opportunities for creative engagement than static materials and environments. Basically, the more materials there are the more people can interact. Think about a gallery or a museum, which exhibits are you more drawn to: the paintings on blank walls or the interactive pieces? While the paintings are undoubtedly beautiful or invoking in some way, it is always the interactive exhibitions, the ones which I can engage with physically which draw my attention, inviting me to come and experiment. As an architect, Nicholson was talking mostly about playground and school design and rethinking the static play equipment and environments, proposing instead one incorporating loose materials to engage children’s natural creativity and inventiveness. Much like Malaguzzi said, Nicholson also believed that creativity was not for the gifted few, that all children are born as creative beings, curious about the world and keen to experiment and discover new things. It reminds me of Malaguzzi’s image of the child. If you believe the child to be inquisitive and creative, competent and capable, intelligent and whole, then you will create environments which reflect this. I think what Nicholson is saying here is, an environment which is rich in open-ended materials and real materials, invokes children to experiment, engage, construct and invent; invites them to tinker, to manipulate and to play. Nicholson encourages us to think; how much of this material/activity/toy have I invented (or been invented by another)? And how much can the child invent? We need to tip the scales in favour of the child. Leave room for the child to invent, to re-invent, to deconstruct; to be creative. This is the theory of loose parts. The whole education system, from preschool to university, is on the verge of changing: for who needs these institutions in their present form? Wow, that is really interesting. I love what you have done & how open ended it is. it is true, children thrive when they have the freedom to re-invent, create and de-contruct things. 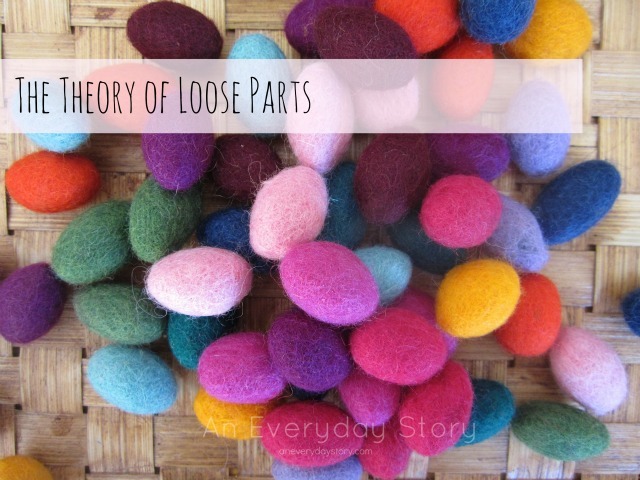 We adore loose parts here… so lovely to read some information and theories about why it is so great. Oh and I love those little felt balls… they are amazing! Aren’t they beautiful? I got them from ZartArt. They come in a range of colours for all the seasons. And I don’t think they were too dear either. Something about loose parts always makes me excited even as an adult- I think it’s all the possibilities that exist in the beautiful bins and piles of materials. Wonderful post! Thank you for sharing such interesting information about the theory of loose parts. I agree that we do need to leave room for children to invent, and I love seeing your photos of your spaces at home. Very inspiring! I’ve recently moved most of the art/craft supplies to be at a level where the kids can get to them (not all, but lots anyway) and I am already noticing different creating going on, based on all the loose parts available to them! I absolutely love this post. The theory of loose parts is what inspired me to create an outdoor playscape for my daughter that was non traditional and more focussed on the environment and a collection of loose parts. Thank you for providing more insight and such delightful images! Hear! Hear! I work at a small school that defines itself as play-based and while it is more play-based than others it still attempts to define the HOW of the play the children involve themselves in. I tend to lean towars more open ended items for play which tends to confuse my co-workers and parents. I will always do so. Watching the children create their own play is my biggest joy. Thank you for introducing me to Nicholson. Thank you for this well written and insightful article! Kate — this is a wonderful article! I’m a long-time fan of loose parts. They invite children to explore, invent, and imagine endless possibilities. Not only that, but you are clearly walking the talk, and it’s clear that you’ve seen the benefits of loose parts in action. Bravo on putting together such a thoughtful post. Oh another beautiful and super interesting post about open-ended play. I think I’ve said it before but I REALLY need to think like this. I REALLY need to be more open-ended with my children. I really good read hon, with wonderful information to back up the positives! I really enjoyed reading this and found it interesting. Thanks for posting. This was such a powerful write up. 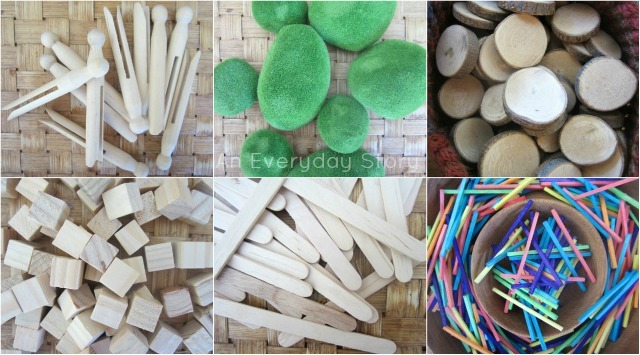 The writing along with the photographs provide great insight on loose parts, something I believe more educators should understand. 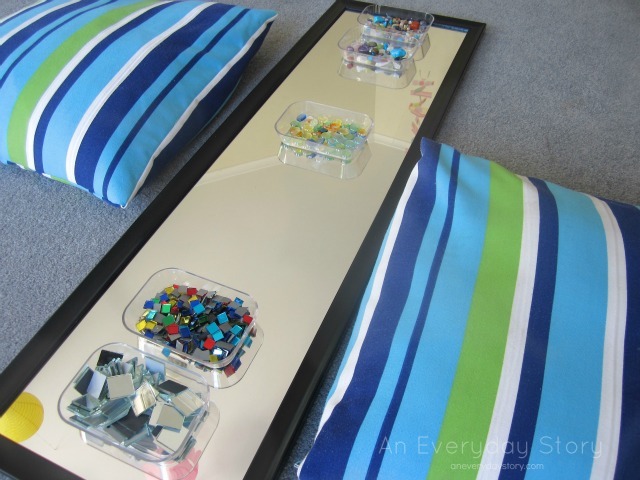 Love, love, love this idea…and I know I have plenty of loose parts around, but I was wondering if anyone had come up with a list of things. For a busy working-mom like myself, it’s easier if I can just look at a list so I know what to look for. There are great photos with ideas, but here is a list of things that are easy to find at the dollar store. What became of Simon Nicholson? 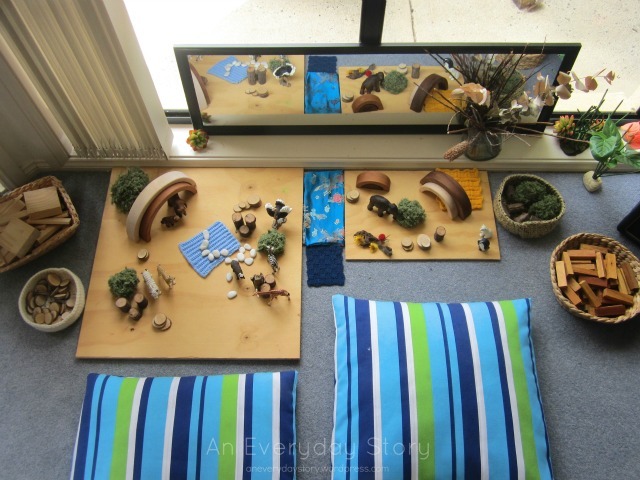 Indeed he would be so disappointed to see that loose parts are usually high up on the shelf and that the opportunity for imaginative play in PreK-up schools is extremely limited. Can you share other articles by Nicholson…in other decades? Many thanks. Hi, I was just wondering where did you the green bushes from? Is that real pieces of bush?